A sermon preached by Christopher L. Webber at Christ Church Seikikai, San Francisco, on Trinity Sunday, May 31, 2015. 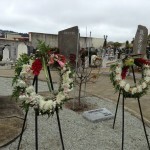 Last Monday I had the opportunity to take part in the annual Japanese memorial day service in the cemetery in Colma. We sat there in a heavy mist and a cold wind while representatives of the Japanese community, Shinto, Buddhist, and Christian, recognized, each in their own way, what we sometimes refer to as the spiritual aspect of human life, each one affirming a pattern that changes lives as they come into contact with that spiritual reality. I said something last week about the way Japanese spirituality has recognized the kami, the divine, in places of natural beauty, quiet lakes, and shrines, and strangely shaped rocks. And there they were: great columns of irregular stone with beautifully inscribed kanji commemorating individuals whose lives had made a difference. I had been asked to read a passage from the Book of Joshua that told how the Hebrew people after crossing the Jordan River took stones out of the river and set them up as an enduring memorial of that historic river crossing into the new land God had promised them. I wondered, when I was asked to read it, how that was connected to the memorial event but I hadn’t seen Colma at that point and didn’t know about the memorial stones. But the Presbyterian pastor who coordinated the event tied it all together in her homily: the stones from the Jordan river and the stones of Colma, memorial stones, ways of remembering, ways of marking the spiritual with the physical, ways of marking the enduring aspect of human lives and events. It made me think of the great monument in England called “Stonehenge” that was put in place thousands of years ago by people of whom we know nothing except they were like us in one way: they too had a sense of an aspect of life beyond the physical and used the most enduring physical markers available to say, “There is an aspect of human life that is more than the physical, more enduring than the greatest stones, more important than transient human life.” You can call it the “spiritual” or the “metaphysical” or not name it at all but it’s real, and it matters. It’s more real even than earth itself and there’s a natural human instinct to want to acknowledge it and know what we can of it and use it to center our lives and to guide them. Now let me leave that subject for a minute to talk about the Bible and make connections later. The Bible contains a number of different types of literature: there’s history, there’s poetry, there’s prophecy, there are visions, there are letters, there’s teaching – something, you might say, for everyone – but there’s just one book, the Book of Job, that is pure fiction. The Book of Job is a made up story about a man who never was and it’s there because sometimes fiction is truer than facts, because sometimes fiction can sum things up, can crystalize, can clarify in a way that history cannot, in a way that straight forward teaching cannot. I can tell you that God’s ways are beyond human understanding and maybe you knew that anyway but there’s nothing like a story to make the point and nothing like the book of Job to make it in the most dramatic way possible. 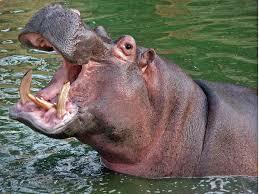 Well, yes, consider the hippopotamus. Can you make one of those? Well, no, but I doubt we are as impressed with that as Job was. 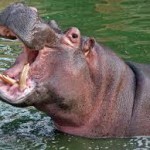 I mean, we can go to the zoo and see a hippopotamus anytime or an ostrich or a kangaroo and besides that we know about dinosaurs and Job didn’t and we know about evolution and Job didn’t so the hippopotamus is not such a mystery for us. Today God might say, “Consider the computer . . .” There’s a mystery, at least to me. And mystery is the point. At last Job has to acknowledge that there are mysteries beyond human comprehension, a spiritual reality that is essential to meaningful human life but not subject to human reason and logic. There is a mystery to be recognized if our lives are to be complete. Now, the readings today all point us to the mystery at the heart of our faith which is what the Book of Job looks at directly. Today’s readings do it less directly and they do it from three radically different perspectives: first, an overwhelming vision – Isaiah’s vision of God high and lifted up in the holy temple in Jerusalem and surrounded by angelic beings and clouds of incense; second, a letter from St. Paul with a discussion of our human experience of spiritual things, of something deep within that responds to something beyond the material world, and last, there’s a very simple, deceptively simple, discussion again of that Spirit, a discussion between Jesus and a Jewish scholar who was looking for answers to the mystery at the heart of human life. I think every one of us is here today because of that mystery, because in one way or another we know that life has a deeper meaning than the purely physical – eating, breathing, sleeping. We know there’s more to life than that. I expect if we were asked to try to identify one moment that made the difference in our life between being here on Sunday morning and being somewhere else we would each have a different and distinctive answer. For some it might be the influence of a friend, for another a relative, for still another an experience at a critical turning point in our lives. Some few of us might have had an overwhelming experience such as Isaiah did others of us may have found help in a dialog with a friend, the wisdom of someone like Paul, and some may have found help in dialog with Jesus like the one Nicodemus had which is still a real experience for many who turn to prayer and find answers, who speak to God and find guidance. I think, too, that there are some of us who can’t point to any specific moment, any particular turning point or influence, but just over time found ourselves involved with other Christians in some specific organized way – like coming here on Sunday mornings – and realizing at some point that we had in fact made a commitment without ever perhaps being really conscious of it, but realizing that we are here because we need to be, because somehow it makes our life complete, that something happens here that we need to give our lives meaning and purpose. I remember a woman telling me years ago that she began coming to church because she wanted her children to be in the Sunday school and that was at the same time as the church service and she had to wait for them somewhere so she came to the service and at first, she told me, she sat there resenting the fact that she had to be there while her husband stayed home reading the paper. “But after a while,” she told me, “I realized that I liked being there.” God works in many ways to get us where we need to be, but at some point it has to be our decision; our choice, our commitment to Jesus as Lord. The reason we turn again and again to the Bible is that we find there so many different expressions of that fundamental reality. We may or may not share Job’s sense of wonder at the hippopotamus but we may well share his realization that there are mysteries we will never grasp, realities more important than our bank balance, or the latest thing on our iPhone. 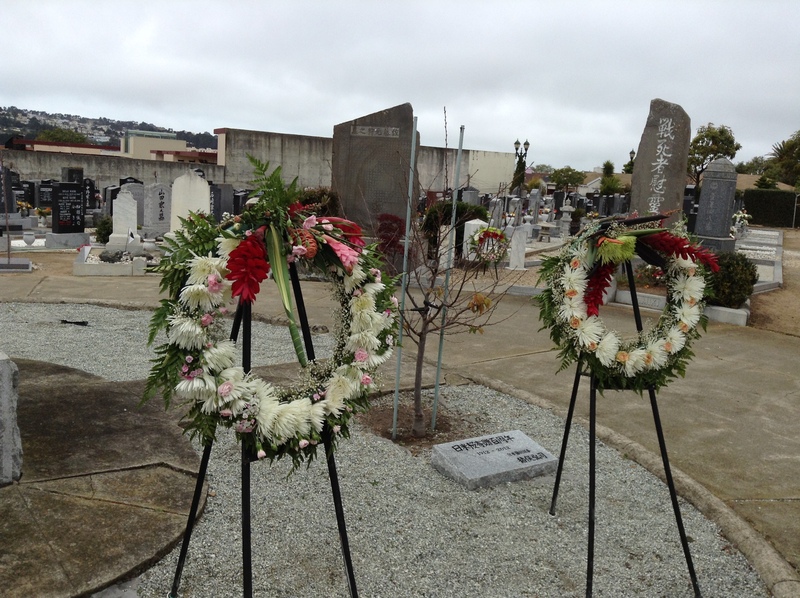 In various ways, we recognized that aspect of life in the ceremonies at Colma cemetery on Monday and in the stark contrast between the flowers that were offered that will be faded and gone in a day or two and the great stones that will stand there for centuries. The Bible says human life is like the flowers of the field. It says our days are like the grass, “we flourish like a flower of the field; When the wind goes over it, it is gone, and its place shall know it no more.” But the stones from the Jordan, the stones of Stonehenge, the stones of Colma, bear witness to something else, something enduring, something that remains when the physical comes to an end. Trinity Sunday is the one Sunday all year that brings us face to face with that mystery at the heart of creation. There’s nothing explicit in the readings today about the Trinity. In fact, there’s nothing in the Bible that tells us something direct and specific about the Trinity, about this fundamental doctrine of Christian faith. It took almost three hundred years for Christians to find a way to put into words what they had come to know in the life of Jesus and the presence of the Spirit and the life of the church. What they came to affirm was a dogma, a statement, not an explanation, an affirmation of a mystery: that God is fundamentally three and yet one, fundamentally one and yet three. And mystery though it is, “incomprehensible” as the ancient Athanasian Creed tells us, it is also a practical, everyday, reality without which Christianity is not significantly different from Islam or Judaism or Buddhism or Shinto. Those religions may be vague about God as Buddhism and Shinto are or definite in affirming one God as Judaism and Islam do but they do not know that that one God or that vague sense of the holy became flesh and blood in Jesus Christ and indwells every one of us in the Spirit. They do not know that the reality of God is not simple, but complex – One but also Three, Three but also One. God is One, the Creator who fills the unimaginable distances of the universe, distant beyond all imagining. But God, that same God, is present also in the human life of Jesus, a life like ours, present in the mysteries of birth and death, and present in a fragment of bread at the altar. And God, that same God, is present and at work within every one of us: One God: above, beside, within; One God in Trinity and Trinity in Unity. The Triune God is all of that and more: the mystery at the heart of our faith, above us, beside us, within us: beyond all knowing yet also known and present now and always in your life and mine.